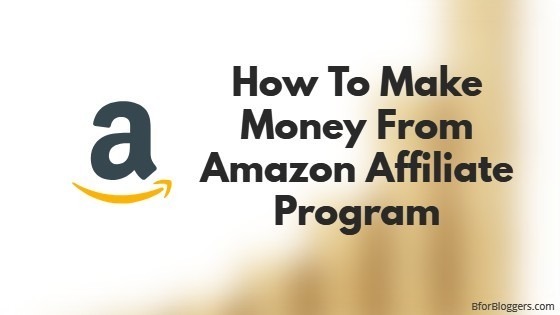 Today I am going to tell you about Amazon Affiliate, one of the most famous ways to step into the world of affiliate marketing. But before you make an account on Amazon affiliate I want you to sign up for Payoneer, it’s free and to ensure you receive the payments from Amazon without any issues, or otherwise, you will have to go receive cheques for payments in which you will lose about 15% of total money earned. Amazon is the world’s largest online shopping portal expanding from the USA to India to the UK and every similar country, so wherever you are you have the option to sign up for Amazon affiliate. As soon as you create an affiliate account on Amazon you are eligible to use every tool and product list to monetize your content. You can use Native Ads or pic specific products from your regional Amazon store. You may think that you won’t be able to sell products from Amazon, but the thing is, you don’t have to sell a particular product. When a person clicks on your given link, he or she is redirected to Amazon where he may find any useful item for his needs and even when they weren’t thinking of purchasing a particular product, he may do so and you will be paid! Amazon has so many products that chances of a product to be sold from your link are very high. But be sure to target a particular region from where you get most of the visitors from. Don’t go for the foreign currency if you don’t get enough foreign traffic. Go your Amazon Associates page and click on the product linking page button. In the supplies, menu choose products links. Find the product you want to link to. You can use the default search button also to find the product you are looking for but in case you don’t want to loose the track, use this method. This is the screen I was talking about. In this screen, you can find products either by typing the product name through the ASIN number. Once you have found the product you are looking for, click on the get link button. Note:- The get link button will show you a table. This table will contain three types of links. The first one will be the image with text, second text only and the third one will be the image only link. These links are bonded into an HTML code. In case you want a short URL link for the product, click on the arrow shown just at the right side of the yellow get link button. The will pop up an affiliated URL and will give you an option to shorten it. Don’t forget to share this tutorial. If you have any questions about the Amazon affiliate program you may ask that by leaving a comment below. There’s a newly launched plugin for Amazon affiliates and it’s called AAWP. You can read more about AAWP here. It is a plugin that’ll help you make extra referrals. You would also like to read about some of the best affiliate marketing strategies and A Simple Way To More Sales and More Money In Affiliate Marketing.